Discover Gigi Gorgeous's Youtube and Instagram stats, most viewed videos and tag analysis. I’m sooo excited for #Halloween this year!! Come party with me in your best costume at Bootsy Bellows to benefit Children's Hospital LA Transyouth Program: bit.ly/GigiHalloween If you're not able to come, you can still donate to a cause near and dear to my heart: https://www.gofundme.com/gigigorgeous I'm a YouTuber & TV personality, lover of beauty, fashion and a good party! ✨STAY GORGEOUS✨Remember you are better than anyone who hates on you for how you look, act or what your interests are! "This is Everything: Gigi Gorgeous" is in theatres starting Feb. 3 and available everywhere on YouTube Red starting Feb. 8. For more info, visit http://www.ThisIsEverythingDoc.com Manager/Business Inquiries: Scott Fisher, Select Management Group (mgmt@select.co). 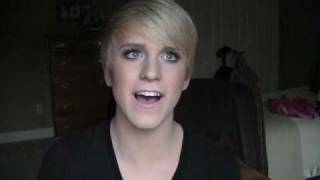 Get inspired by discovering the TOP 100 Youtube videos of Gigi Gorgeous. 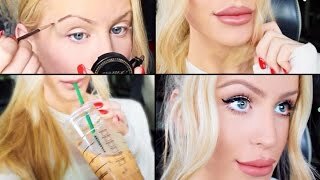 Discover which video tags are used by Gigi Gorgeous for the most videos.